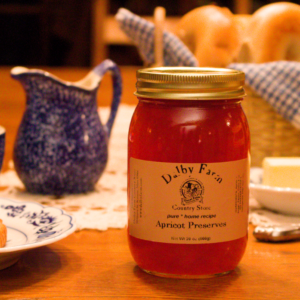 Dalby Farm’s all-natural preserves and marmalades are made from real fruit and sugar, without any chemical preservatives or artificial sweeteners. Available in a variety of flavors, they’re great with breakfast, in desserts, or can be used as a glaze. Our pint jars are a great value – and it’s a good thing too, because we know after you try them you’ll be back for more!